Suddenly it appears, straight ahead in the distance, on the highway that runs through Canada’s Banff National Park: an elk, a large hoofed animal that in size is somewhere between a deer and a moose. Calmly, it saunters across the road, its stately antlers held high – as if a reminder is needed that you don’t want to collide with one of these beasts. A second one follows, and a third. Brake! 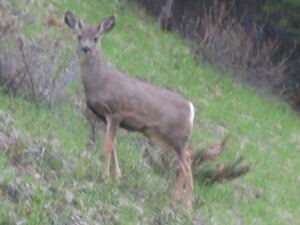 A deer on the side of the road that runs through Banff National Park. This is the kind of scene that makes Banff National Park, on the east side of the Canadian Rockies, a big draw. Every year, hundreds of thousands of tourists from North America, Europe, Japan and elsewhere visit the park, perhaps the best known in the country. They come for the spectacular scenery that tourists imagine when they think of Canada: snowy mountains, quiet lakes and fresh forests. 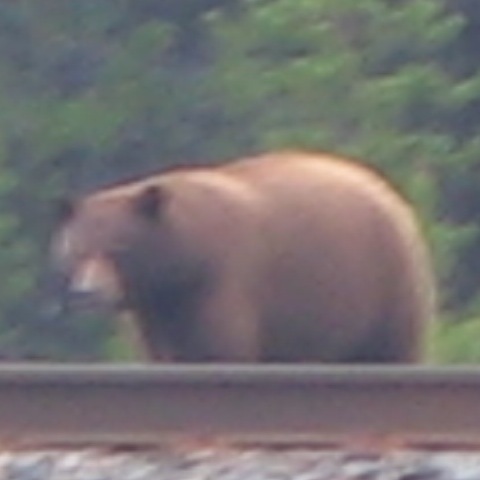 Not to mention the wildlife, ranging from deer and elk to wolves, black bears and grizzlies. The park is very accessible, precisely because there’s a road running through it. But this also presents a dilemma. In order to facilitate traffic in the park – on average 25,000 vehicles per day in summer – the 78-kilometer highway is widened in stages, from two to four lanes. That’s good for the convenience and safety of the tourists. But it’s less of a blessing for the animal life that has its natural habitat split in two by a highway with fences on both sides. To alleviate the impact, the road work is coupled with the world’s largest project of wildlife crossings. Along the 45 kilometers of highway that has been twinned since the 1980s, a total of 24 crossings have been built, in different shapes and sizes. The 33 kilometers still to be upgraded will be equipped with an additional 18 crossings. 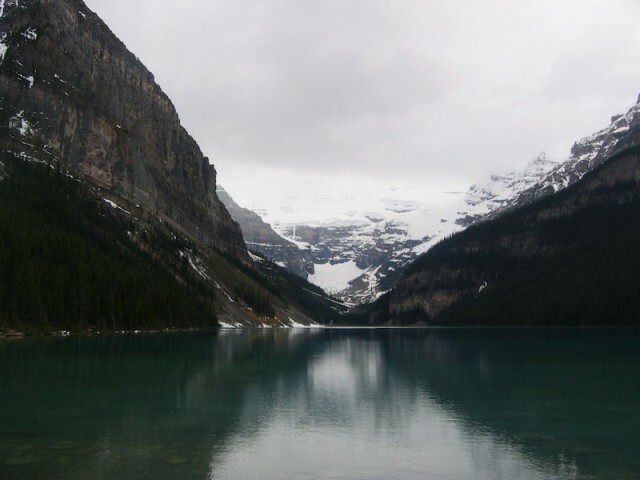 Banff National Park, on the east side of the Rocky Mountains, attracts many tourists. Clevenger is participating in a long-term, large-scale study of the effectiveness of the crossings. Since 1996, he has been researching the use of tunnels and bridges by the wildlife of Banff, with the aim to understand what works and what doesn’t. The study is supported by the Y2Y project, an American-Canadian group of conservationists dedicated to protecting the ecosystem that stretches from the Yukon in northwestern Canada to Yellowstone, the famous national park in the U.S. Nowhere in the world, the effect of wildlife tunnels and bridges is researched as intensively as it is in Banff. A bear in Banff National Park. The focus of Clevenger’s research is on the role the bridges and tunnels play in promoting ‘connectivity’ of animal life in the area. Since 1996, Clevenger and his fellow researchers have counted more than 70,000 passages of ten species of large mammals on the existing bridges and tunnels. 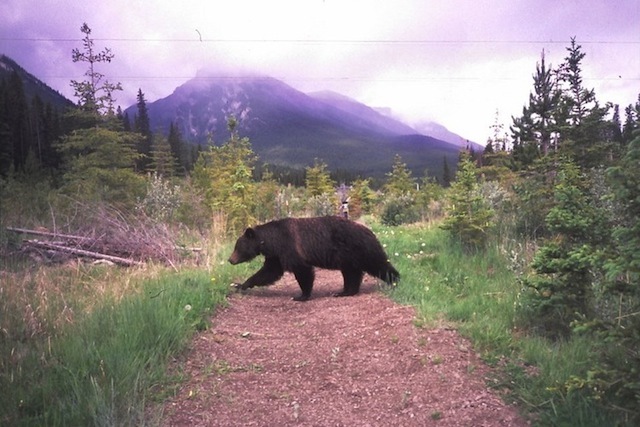 Among other findings, it turned out that grizzly bears, wolves, deer and moose prefer wide, open tunnels and bridges, while black bears and lynx have a preference for shielded, narrower tunnels. However, it often takes years for wild animals to trust the crossings sufficiently to start using them. Shy animals like grizzly bears and wolves sometimes wait up to five years before they dare to cross. Use by the animals is measured in several ways. Strips of sand across the width of the bridge or tunnel register paw prints. In addition, digital cameras are installed that take pictures when an animal passes a beam of infrared light. Finally, barbed wire has been set up; the animals have to climb through it, leaving patches of their fur that are used for DNA research. This shows whether mostly male or female animals use the crossing, and whether they are different animals, or the same animal making multiple trips. Clevenger parks his car on the shoulder of the highway and walks over to one of the most advanced crossings: a bridge 50 meters wide. It is a sloping structure, with a two-meter layer of soil with vegetation on it. On both sides, screens block the noise of passing traffic. In the middle of the bridge, Clevenger looks at the sand strip. And sure enough, there are fresh tracks of a small black bear – another sign that the bridge is producing results. The bear must have passed in the morning, Clevenger says.